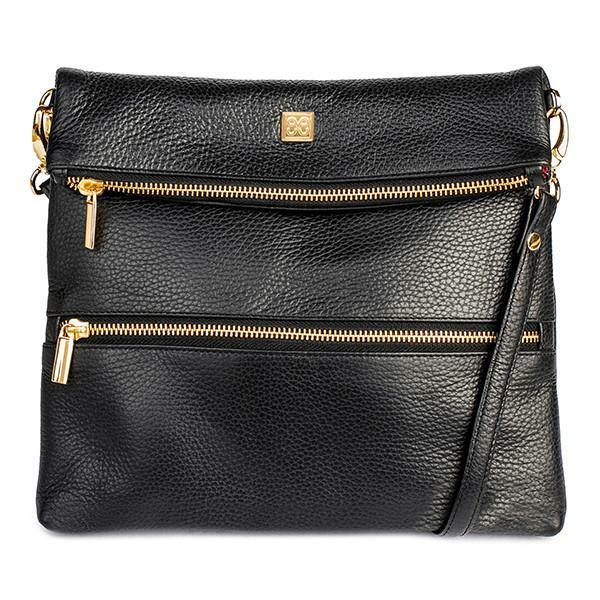 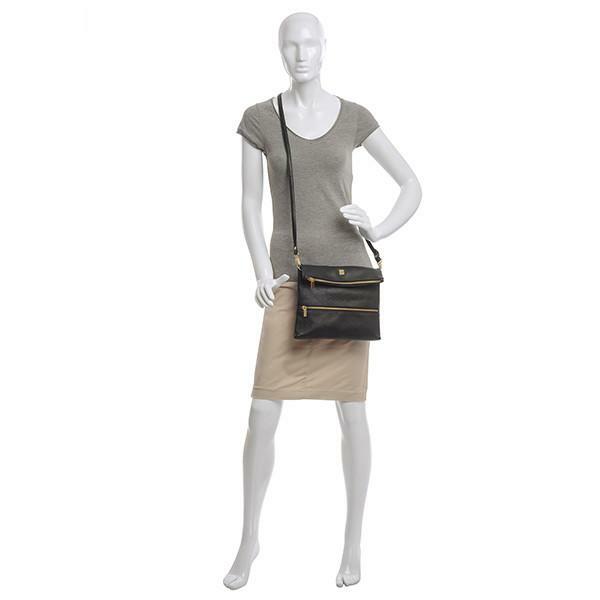 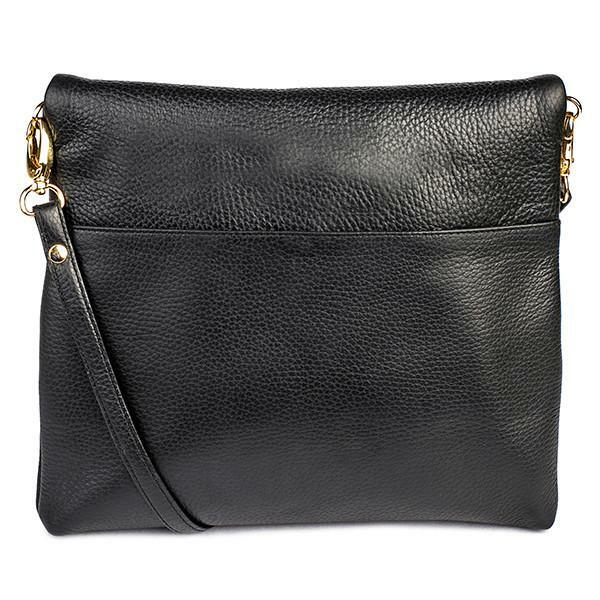 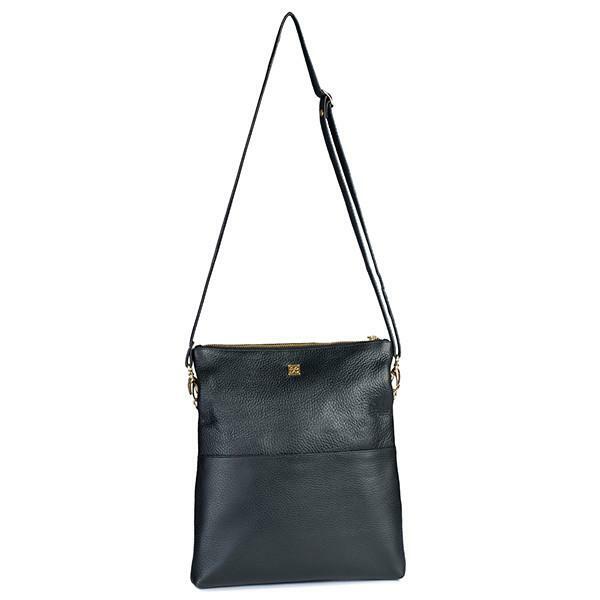 Made of lustrous black pebble-grain Italian Leather with gold-accents, the Ikaria cross-body is multi-faceted. 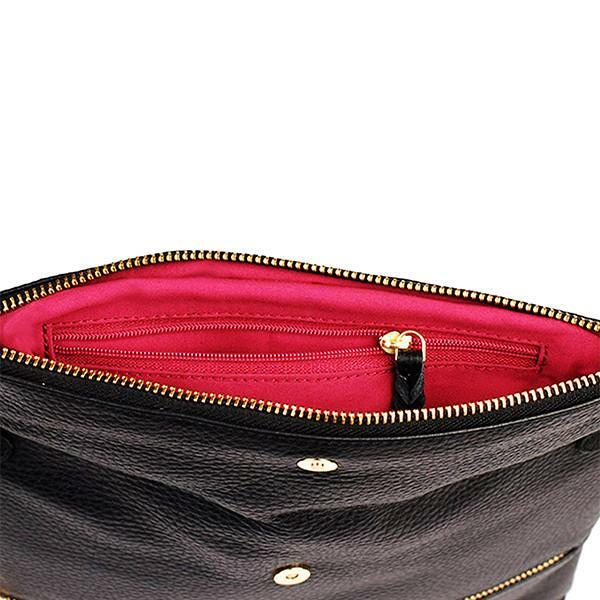 It can be used folded over or opened up to carry as much as you need. 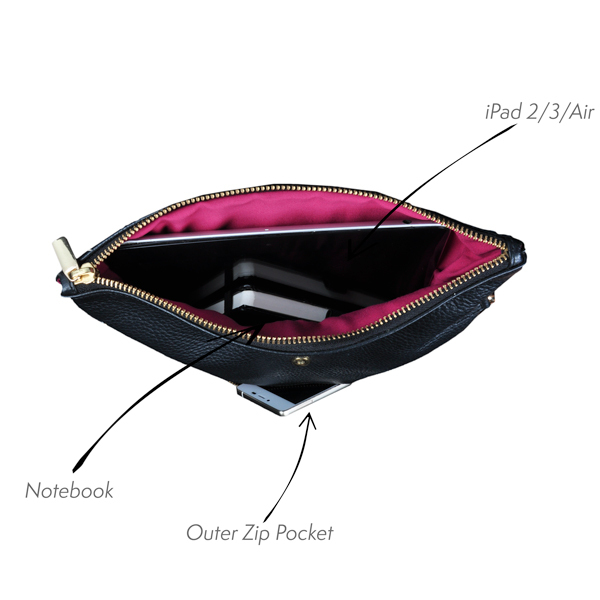 Folded over, it fits an iPad 2/3/Air, Kindle, phone, wallet, keys or other essentials. 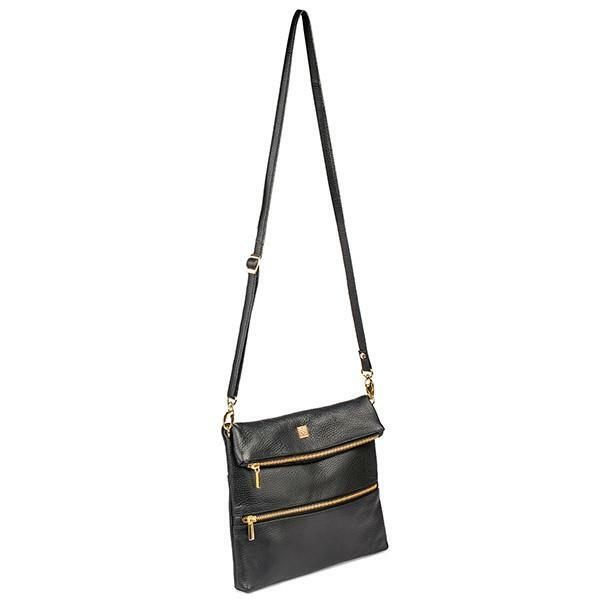 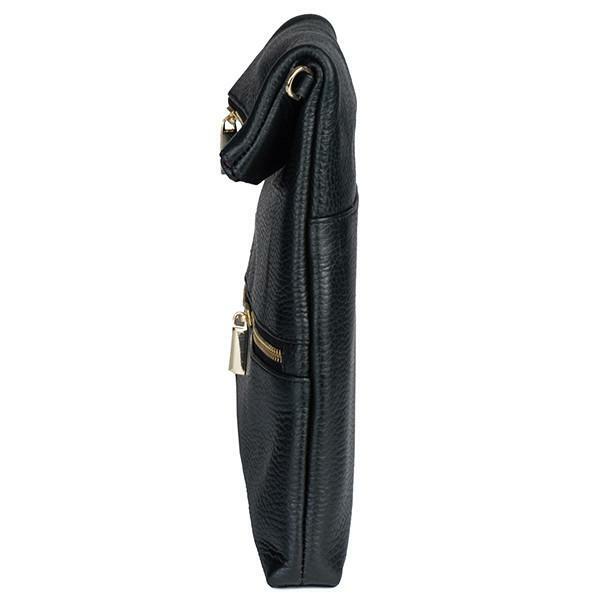 If you unfold it, it can fit a 12 inch laptop and can be carried with the zip facing inwards for a different look. 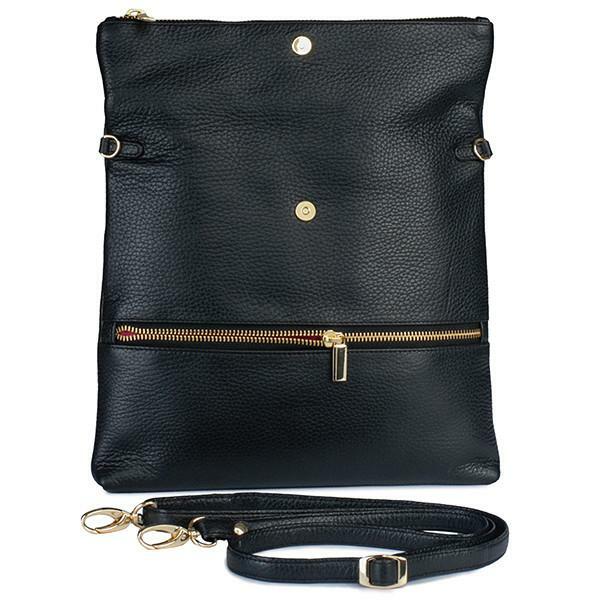 Each Bag Comes with A Complimentary Leather Care Powder.